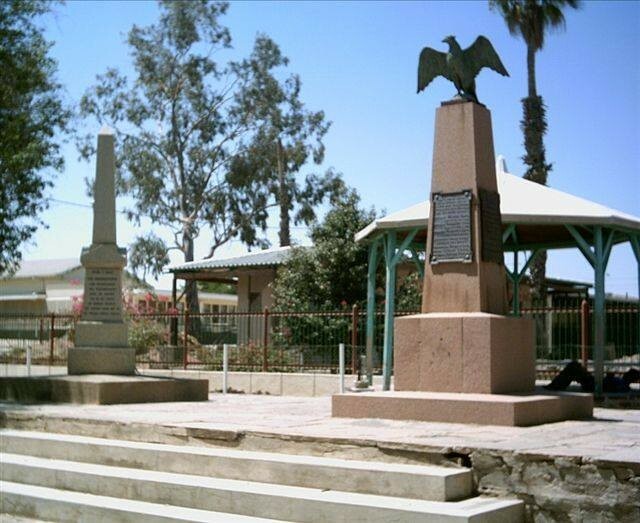 The “Eagle Monument” in Keetmanshoop commemorates the German soldiers who were killed in the Herero and Nama wars in 1897, 1903 and 1906-1907 respectively. 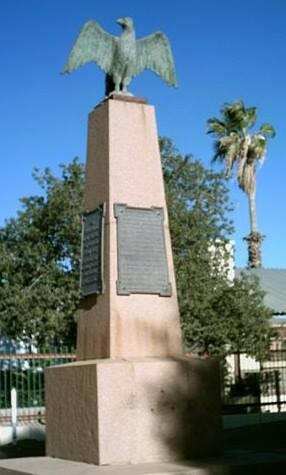 It is shaped in the form of an obelisk and topped with the German Imperial eagle in bronze. Another memorial at the same site commemorates those who fell during the course of WWII. The latter, however, is not part of the national monument. In the past, commemorative services were held at this memorial in November each year, at which the fallen of both World Wars were remembered. Occasionally, music was provided in the adjacent bandstand by a brass band from the Nama community. 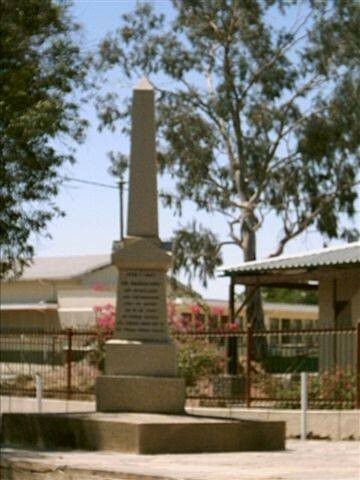 The monument and bandstand are situated in the center of Keetmanshoop in the little park adjacent to the Post Office in Keetmanshoop, the capital of the south of Namibia.